Some of you probably spent this Memorial Day weekend at the beach or grilling in the backyard. I instead went on a coding blitz to redesign my blog and didn’t leave my apartment for three days. I haven’t showered in three days either, so it’s probably a good thing I haven’t left the apartment. I didn’t plan on staying inside that long, it just sort of happened. It wasn’t until the site was ready that I realized I hadn’t talked to a living human being for over 48 hours. But damn, my web site looks great! I’ve been meaning to redesign my blog for years, literally, however I’ve always put my clients’ work first because those are the skills that pay the bills. But on Friday I realized I was about to have three days in a row during which I was unlikely to get any emails or requests from clients. So I decided now was the moment, threw myself into it, and spent 22.5 hours over three days to make my site the beautiful, responsive piece of work I knew it could be. I also decided to merge jenful.com into jennettefulda.com. There are a couple reasons for this, but the main one is that I’m sick of people calling me Jen. I know several women named Jen and they are all lovely, fabulous ladies with cute babies and cute dogs and cute cats. I’m happy to be acquainted with them all. However, I am not a Jen. I’m just not. That’s not my name. When I stopped blogging at pastaqueen.com many moons ago, the only reason I didn’t start my personal blog on jennettefulda.com instead of jenful.com is because people rarely spell my name right. I thought jenful.com would be easier to find. However, with today’s technology I figure you don’t have to know how to spell my name right. If you search for “jeannette fulda” or “jeanette fulda” on Google, you will still get pointed in the right direction. So, au revoir JenFul! Hopefully people will stop calling me Jen now. 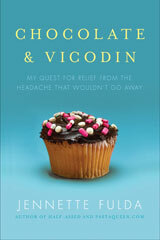 I’ve also merged the content from chocolateandvicodin.com and halfassedbook.com into the site and redirected those domains here, so there’s the added benefit of having everything in one spot, which makes my life and my web sites easier to manage. There’s still a few things I plan on tweaking over the next few weeks, but all the essential features should be working. If you notice any bugs, leave a comment on this post or email me at jenful at jenful dot com and let me know what browser and operating system you were using when you encountered the problem. Anyone know where I can get a cheap iPad? This looks bloody fantastic! WELL DONE! And dang it’s only Tuesday and you’ve done your post for the week? DOUBLE WIN! Thanks, Shauna! It sure did take a lot of time, but I’m happy with the end results. I do miss the “Ow! You’re going to poke my eye out!” I think I giggled every time my mouse floated over that…. Isn’t it lovely when you FINALLY have time to do something for yourself? It looks great! 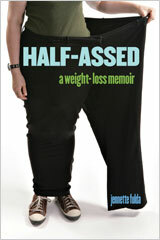 @Susan Halla – I might put that feature back in. It’s one of the detail things that wasn’t essential for launch, so I put it on the backburner. Glad you like the site! It does look great! And I am jealous of your one stop shop! Thanks, Roni! That means a lot coming from you since you’re a great designer yourself. 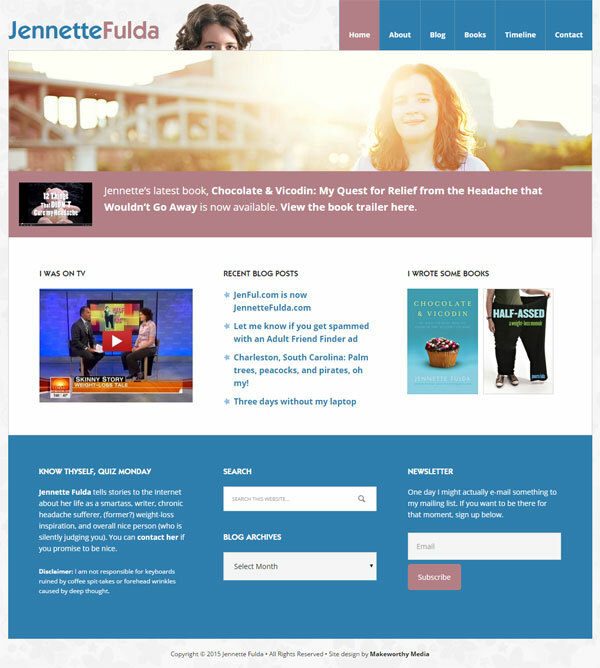 Nice redo of your site, Jennette! I’ve been reading your blog(s) for about 7 years, hope to keep enjoying your writing for a long time to come. Thanks for sticking around for so long, Lori! I appreciate it. That is one beautiful timeline. Your site is so stylin’. Well done Jennette. I liked the ouch don’t poke my eye out thingy too. Thanks! It took forever to enter all the information into the timeline, so I’m glad you like it. Lookin’ good! I too miss the old eye-poker, score another vote for bringing it back.